- Congratulations Liz! 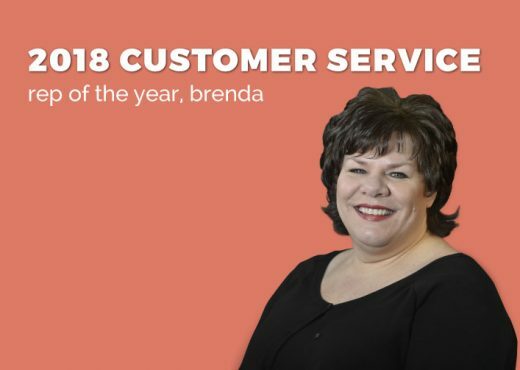 Our 2018 PPB Service Superhero Winner! 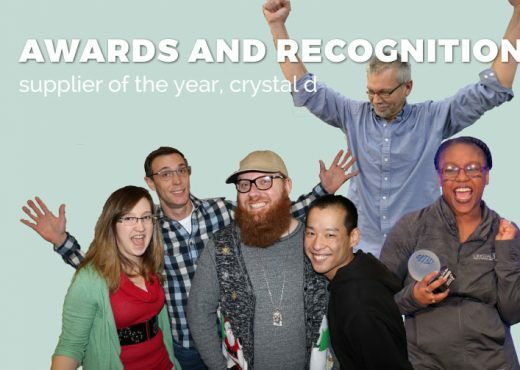 It’s an exciting day at Crystal D because one of our own has won an industry award! 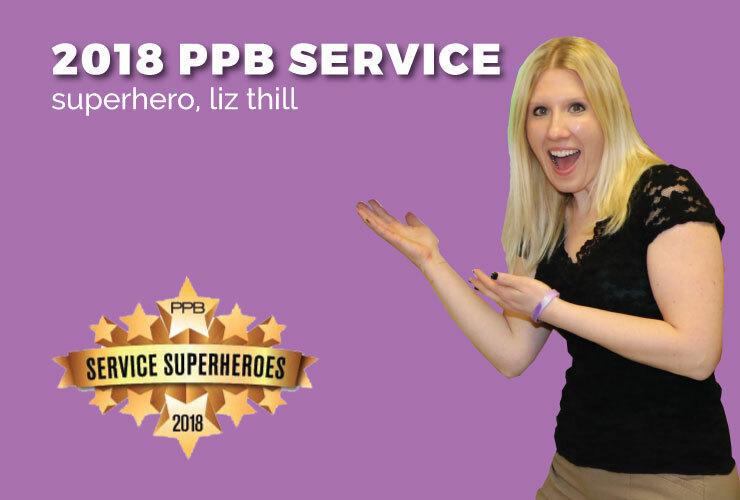 Our solutions specialist Liz was named one of PPB’s 2018 Service Superheroes. This award was given to only 14 people across the promotional products industry this year. I had the chance to sit down with Liz. We talked about her big win, and I got to know her a little more. I’m sure the folks in the Northeast and in Washington, the two areas Liz takes care of, would love to learn more about their superhero! Alexis: Congratulations Liz! As a little background, what did you do before you joined the Crystal D team? Liz: I joined Crystal D four years ago, but before that, I worked at a collection agency. I started as a transfer agent and then moved into a collector position for Chase Bank. From there, I was promoted to the Bank of America team where I collected on pre-charge off accounts. Those were the hardest accounts to collect on. It’s where I learned and mastered the bulk of my customer service skills! 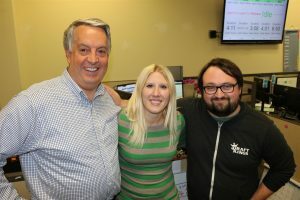 From there, I moved into the finance department for a bit before moving into the sales department as a Reorder Specialist. My last position with that company was as a District Sales Manager. I covered three states on the east coast, and I was responsible for bringing in new business opportunities. Alexis: And how would you describe your role at Crystal D? Liz: I’m a Solutions Specialist at Crystal D. I help my customers find the perfect award for their clients’ events. I have tons of ideas, and I search for exactly what my customers and their clients are looking for. Alexis: How did you feel when you found out you were named a PPB Service Superhero? Alexis: What motivates you to deliver world-class customer service? Liz: My biggest motivation is being my customers’ first choice for an awards project. It’s not about the money or the hours; it’s about making a personal connection. My customers think of me first because I make sure they get the best service. I can’t change the product line, pricing, or things of that nature. But I can control how I treat my customers. Providing an incredible customer experience is 100% in my power! Alexis: Outside of customer service, what’s your biggest motivation in life? Liz: My will to succeed! Not only do I want to be proud of my accomplishments, I want others to be as well. 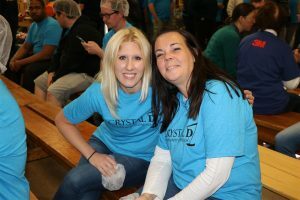 My hope is that Crystal D sees me as an asset to help bring success to the organization. My strength and determination comes from my parents, and I hope they are proud of how they raised me. 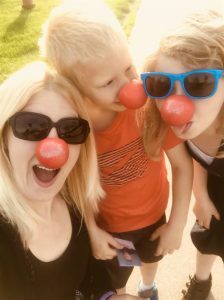 But most of all, I want my kids to be pleased, knowing I’m the best momma I can be. My goal is to leave a legacy for myself as a hard worker with a contagious smile and a bubbly personality! Alexis: What’s the number one tip you’d share with others to enhance their customer service skills? Liz: I have two actually! The first one is that I live by the motto, “It’s not the big that eat the small; it’s the fast that eat the slow.” Meaning that I always over-communicate exactly where we are in the process. Speed of delivery and keeping my customers in the loop is always the thing that makes a difference. My second tip is never say “no.” Always provide a solution to a problem. “I may not be able to do XYZ for you, but I can do ABC instead.” Sometimes the solution is referring them to a competitor who has a specific product. Your customer will remember that you went the extra mile, even if it meant you lost that order. Alexis: What is something your customers don’t know about you that would surprise them? Liz: I love to fish! My favorite type is catfishing. It’s a blast spending the night on the boat, waiting for the big hogs to come out! Alexis: What song do you know all the words to that people would shock people? Alexis: If you could close any restaurant chain because you think their food is absolutely disgusting, which restaurant would you close? Liz: Definitely Burger King or Hardee’s! Alexis: Would you rather have unlimited tacos or unlimited burgers for life? Liz: Unlimited burgers! I hope they come with fries too! Alexis: If money was no object, what’s the one thing you’d buy yourself right now? Liz: A French bulldog puppy! Alexis: Is a hot dog a sandwich? Why or why not? Liz: A hot dog is definitely a sandwich. Any meat between two buns is considered a sandwich in my book! Alexis: Who is your hero and why? Liz: My daughter is my hero. Starting in October 2016, she had suffered countless seizures, and she underwent two brain surgeries in 2017. During the roller coaster of events, I never left her side. Even when times were really bad and she was unbelievably sick and at her breaking point, she never stopped fighting. She rarely complained, she maintained a positive attitude, and failure wasn’t an option. We’ve come out on the other side now, as she’s one year seizure-free! She brought out a strength in me that I never knew I had. Because of her, I researched, I asked questions, I pushed, I pleaded, and I fought. We experimented, we took chances, and it all paid off. She’ll forever be my hero. Thanks so much for talking with me, Liz! 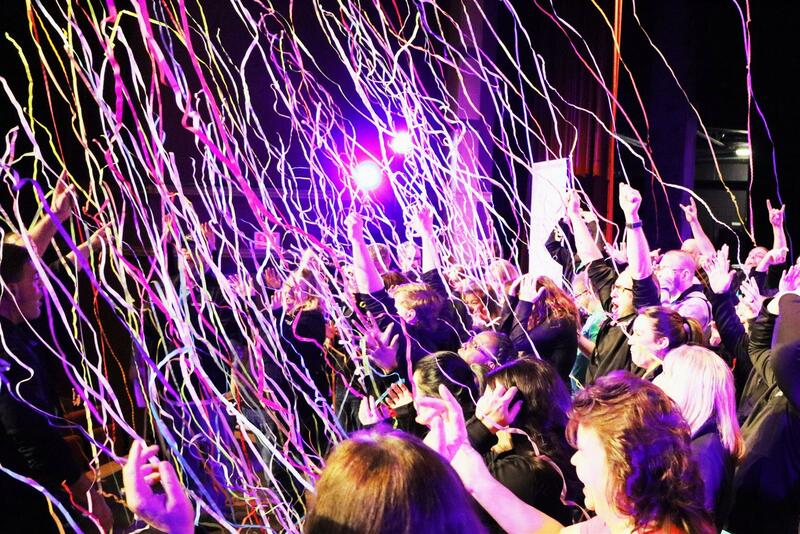 We’re so lucky to have you on the Crystal D team, and congratulations again! 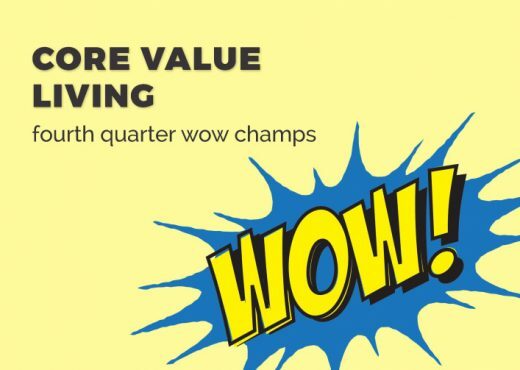 You always provide “The WOW Effect”™ in everything you do.